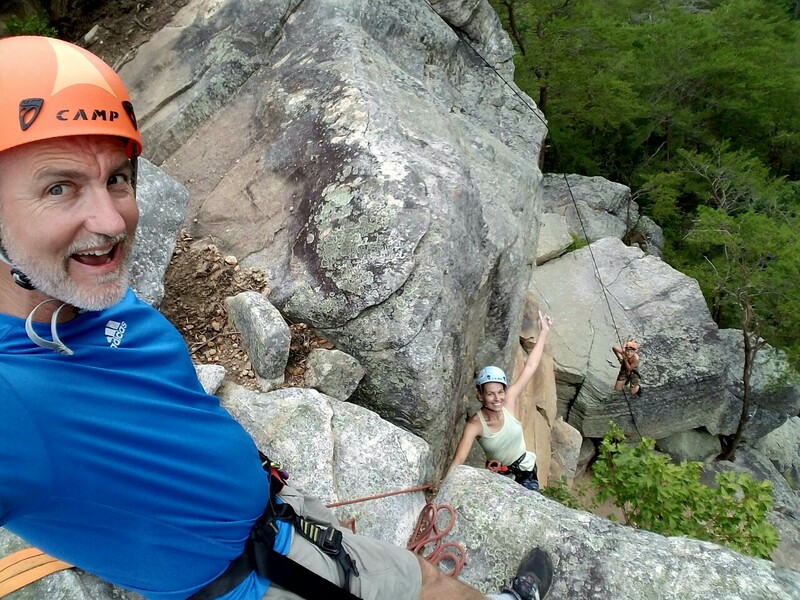 Fighting gravity all the way up to the top of one of our favorite climbs - Slab McNabb in TN! Awesome times with 20 outstanding people on SLAMMED 2016!! 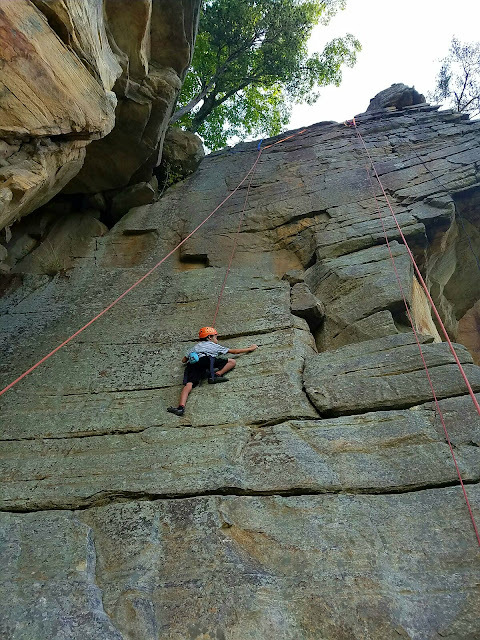 Mixing thrilling outdoor activities with quality time with Jesus turns an exciting event into a God-awesome adventure!! Seeking God first!! 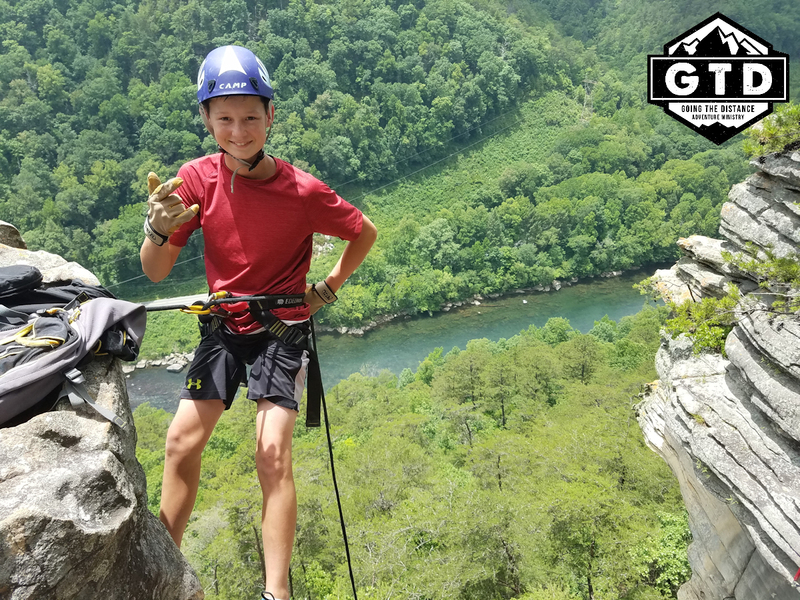 Overcoming fears and conquering self imposed limitations was just part of the experience while we went over the edge of our 7-story heart-stopping rappel yesterday. 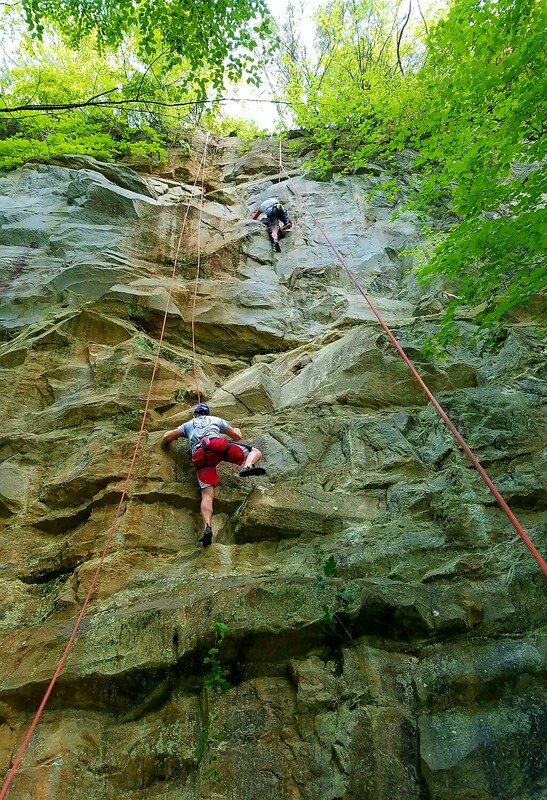 Not even pouring rain or impending night fall could stop us from completing this adrenaline pumping adventure! Praising God that He calls us to be overcomers, not succumbers!! 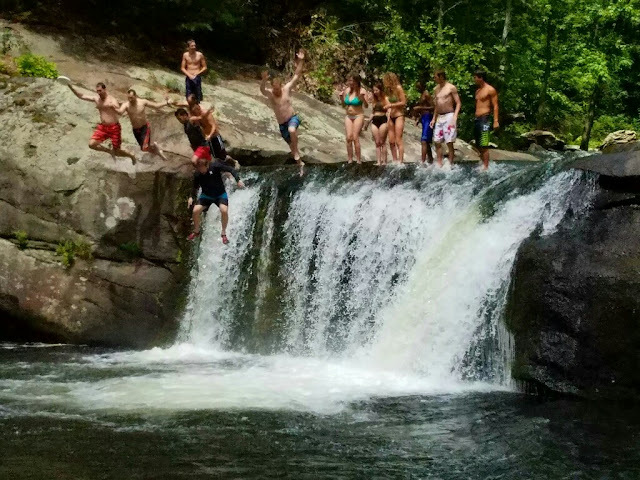 Our 21st Annual SLAMMED Adventure Trip started off with splash as we took on the thrilling waterfall slide and cliff jumps of Baby Falls! God's playground is AMAZING!! ALL WEATHER MINISTRY... EVEN THE SCORCHING HEAT! IT'S ONLY FLAT ON THE BOTTOM! We almost made it through the entire summer without a flat tire... almost. 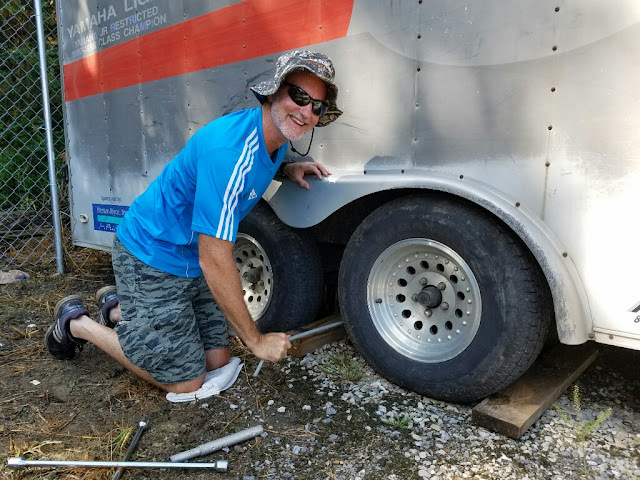 One small screw kept our annual flat tire streak going. Not a problem, the GTD Pit Crew is on it! Today we got a rare day to go play on the rocks without a group. Often we don't have the time during an event for the guides and volunteers to actually get to do the activities we are providing for the group so today was a special day of play for us. In this picture I'm belaying Laurie from on top of the mountain as she rock climbs upwards (I have her locked in during the picture) and Carson is rappelling below. We had a wonderful time checking out new routes for future groups while savoring some play time during our down time. Our trip starts tomorrow and we are recharged! Yip! Yip! Heading up for our 21st Annual SLAMMED Adventure Trip. It starts on Wednesday. This will be Laurie's first adventure trip this summer... so glad to have her back!! Relive the moments from our Adventure Trip with the middle school youth group from Calvary Chapel of St Petersburg, FL. 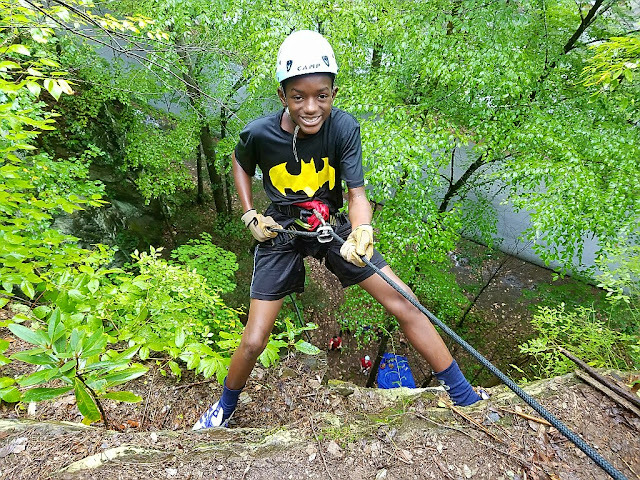 Check out over 2600 pictures from our outrageous time together at camp in the mountains of eastern TN!! 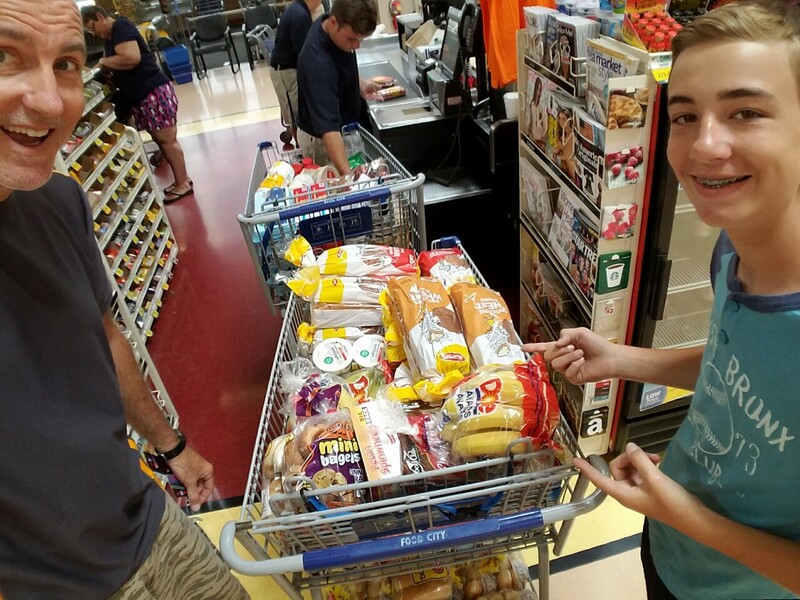 Last night I shared in a post how blessed our ministry (GTD) was able to buy food for 25 different families while in Costa Rica (if you missed the post, it's a must read)...and today I wanted to share with you all the supplies we were able to buy and donate to our partner church with money given to our Costa Rica mission project this past month! You're looking at $1,000 in materials! To our supporters, we couldn't have done it without you! 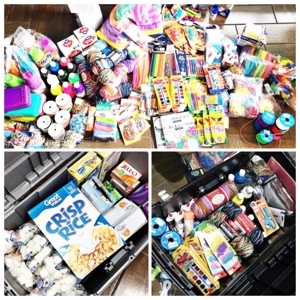 These supplies not only helped to support the VBS our team was able to participate in, but will also help to support the church's children's ministry in the months to come. Thank you so much! Before I left for Costa Rica I sent a message out to many of my friends who have been a huge part of Going The Distance Adventure Ministry. It was my goal to raise $1,500 and together we exceeded the amount and raised about $2,650! 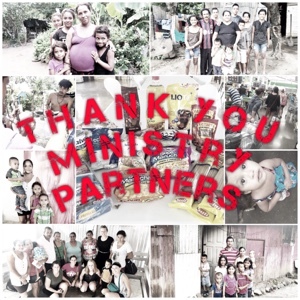 Not only did we get to feed families and buy needed supplies for the children's VBS, but we were able to do so much more and bless some sweet families, local church plants, provide for unexpected needs, and bless the church community. I plan to share more details, but tonight I wanted to share with you all that we were able to deliver food to 25 different families in need. Families received a bag full of necessities (beans, rice, oil, spaghetti, sauce, ramen noodles, salt, coffee, tea, cookies for the children, powdered milk, soap, tuna, tortillas, and vegetables). 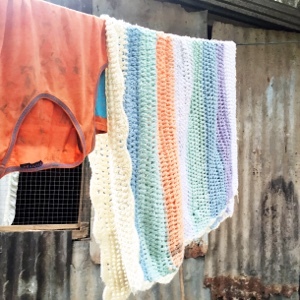 For me it's so humbling to share this gift with families whose cupboards are bare. It took about $30 to feed each family and I can only imagine what it must have felt like for some of these families to receive a gift like this. From an empty cupboard to filling bellies...I know it's not a solution to their situation, but it's love in action. It shows them that they matter, that they are not forgotten, and that God is at work. It gives them hope and helps them through another day. Together we share time with these families, we get to know them, we pray for their needs, and we share with them about the generous people here in the United States who made this gift possible. To each person who donated to this request, I wish I could wrap my arms around each one of you to say thank you individually, and I wish you could take a peek into my heart and see how full it is. 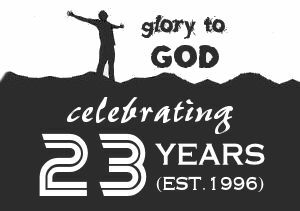 Thank you for your belief in this ministry and being the hands and feet of the church. Your donation made a difference. May God bless you for your generosity. 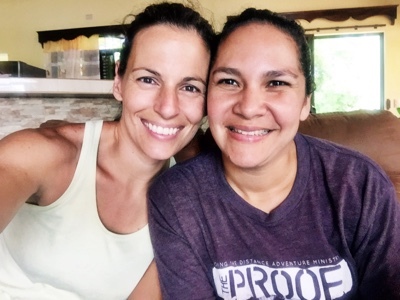 I can't say enough beautiful things about Vero who is not only one of my dearest friends in Costa Rica, but also my right hand. For years I have been blessed to work side by side with her and truly believe we make an amazing team! 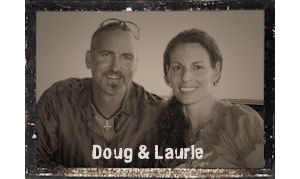 Over the last few years we have worked together in some amazing and God sized projects. Together we have poured endless hours into preparations and plans for our teams. It's been absolutely incredible to see how God has brought the Iglesia Buen Pastor team together, Going The Distance Adventure Ministry and all the many other churches we have had the privilege to work with over our 11 years of ministry in Costa Rica to impact an HIS kingdom! Thank you Vero for all you do day in and day out to prepare for our teams, for the love your pour out, for the time you give, for your heart to serve, and for being such a wonderful friend. May God bless you and your family...we pray God will provide healing for Walter Zuniga (her husband) and that a kidney transplant will happen soon. 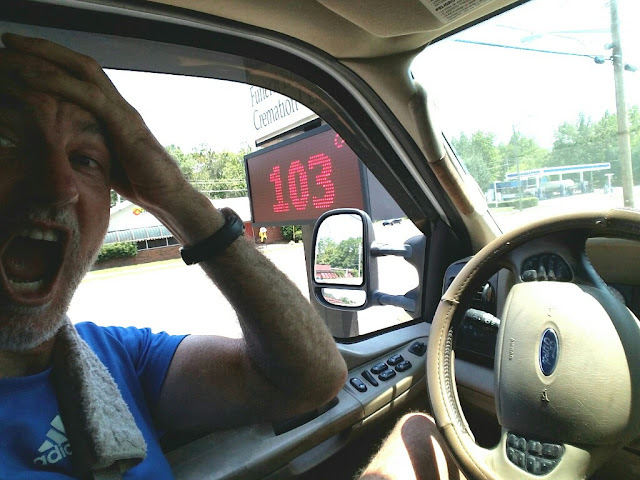 The pleasant morning weather conditions quickly gave way to soaring heat after noon time as the temperature soared to around 100 degrees. 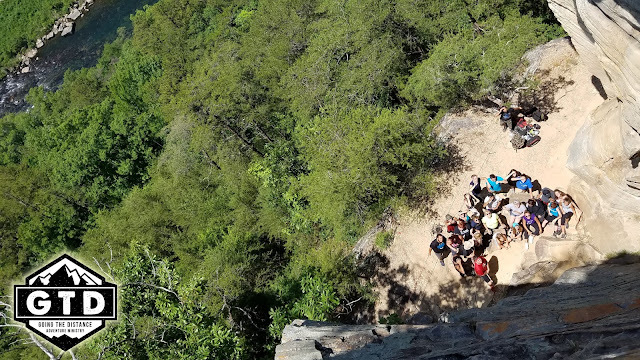 During the challenging hike down, with only 10 minutes before we were back to the vans, one of the youth passed out... then a few other youths started feeling faint from heat exhaustion and had to lay down. It was quickly becoming a serious situation. A nearby trickling waterfall became our source for cooling down overheating kids while everyone started sharing their remaining drinking water. We possibly didn't need to, but we couldn't take any chances so we called 911 as we continued to cool down the students. 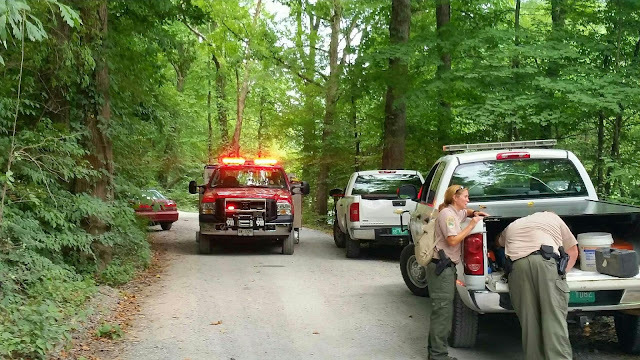 Within a few minutes a small army of Rangers and emergency personnel arrived at the bottom of the mountain. One Ranger hiked up to assess the situation and help the one youth that had passed out in any way possible. By this time we had already cooled him down and hydrated him and he was sitting up answering questions. Over the next 25 minutes everyone was able to hike down on their own. Once at the bottom, the paramedics spent the next hour observing the overheated students while cooling them off and rehydrating them. No more intervention was needed and everyone was cleared to return to camp. On the way back to camp we stopped for snacks like ice cream. Three hours after the incident everyone was all smiles. Our special thanks to the emergency personnel who came and helped. They regularly see all types of emergencies in the mountains and have an average response time of only 5 minutes. We thank God for them, the youth leaders who who helped care for kids, our staff and volunteers who worked exhaustively all day, and for a perfectly placed trickling waterfall. Everyone was back to normal in a few hours. Praise God! EARLY BIRD GETS THE VIEW! 5am wake-up & 50-70 lbs backpacks for the rock climbing set-up team. The view makes it more than worth it!! One of our favorite days at camp is water day! We are "soaking" up this amazing God-made water park on a beautiful sunny day in TN!! 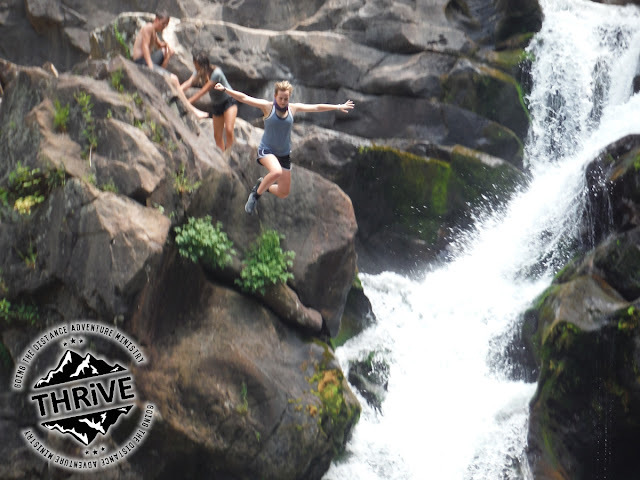 Waterfall slides, cliff jumps, and swimming... it's a goooooooooo day!! Sometimes adventuring includes a trip to the hospital. 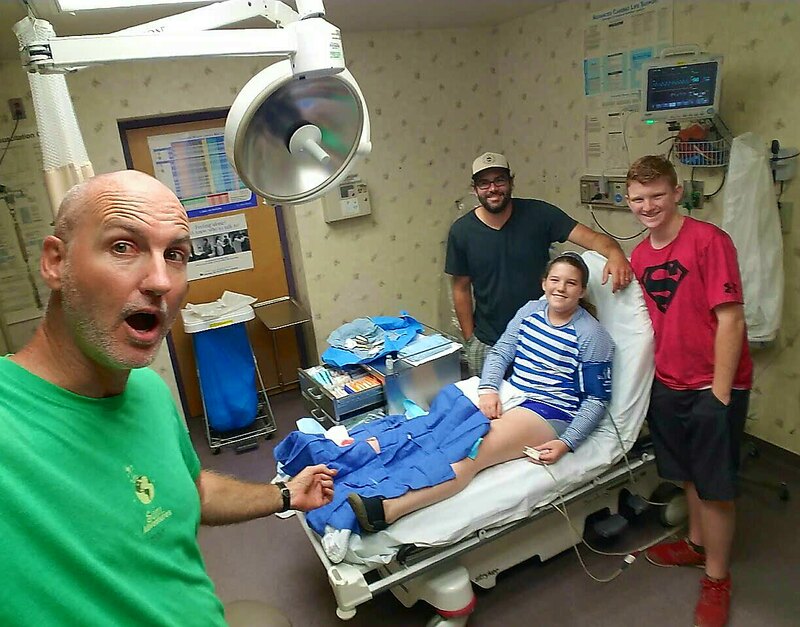 One of our 14 year old participants hit her shin on a rock while playing in the river yesterday afternoon. The result was a 3 inch gash in her shin that required 7 stitches. We were so impressed with the young lady who was injured as we watched her keep an upbeat positive attitude while challenging herself not to cry. Mission accomplished... even while enduring the pain of the impact, wound cleaning, injections, and suture needle. This girl is tough, funny, and incredibly smart! Our thanks to the Etowah, TN medical staff at Wood's Memorial Hospital who took excellent care of our young patient who will be a spectator for most of the activities for the next couple of days. Thank you to all of prayer warriors out there that constantly lift us up in prayer! 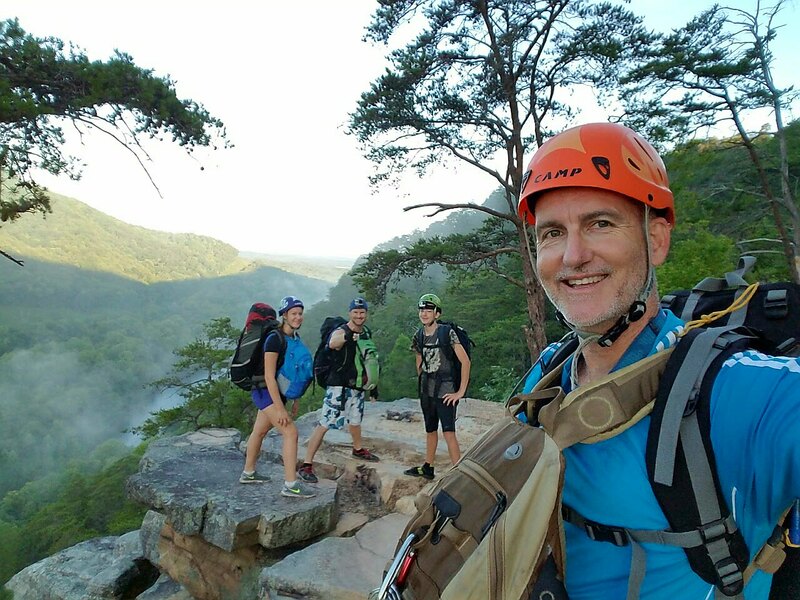 We are taking on the mighty middle section of the Ocoee River today! Everyone is LOVING IT!! 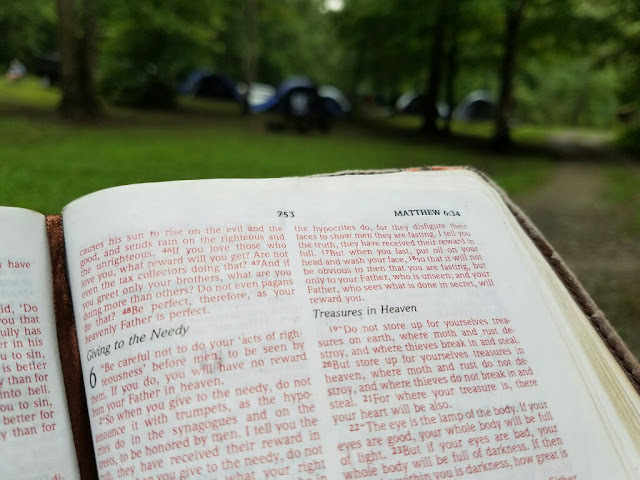 Yesterday afternoon the middle school youth group from Calvary Chapel St Pete arrived at camp in Tellico Plains, TN. 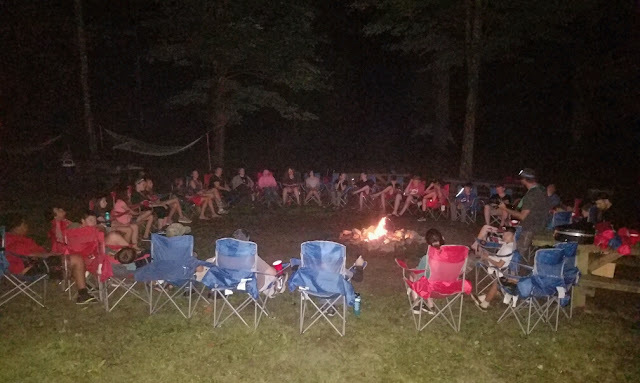 After setting up the campsite they kicked off their week with praise and worship around the campfire. The best way to start camp! Prepping For Our Next Adventure Trip! Carson and I have spent the day getting supplies, buying groceries, and prepping for our Adventure Trip with the middle school youth group from Calvary Chapel St Pete... which starts in a few hours. 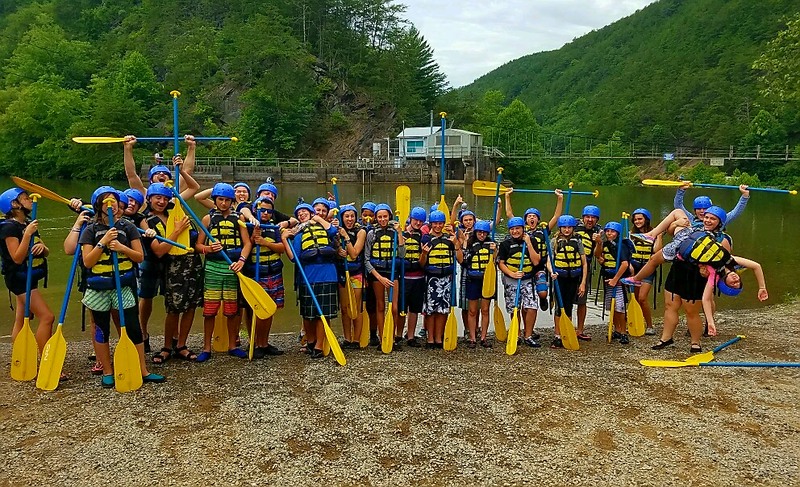 It's our 12th annual trip with this phenomenal youth group. We can't wait! Keep us in your prayers over the next 5 days as we brave the wild with 40 people! 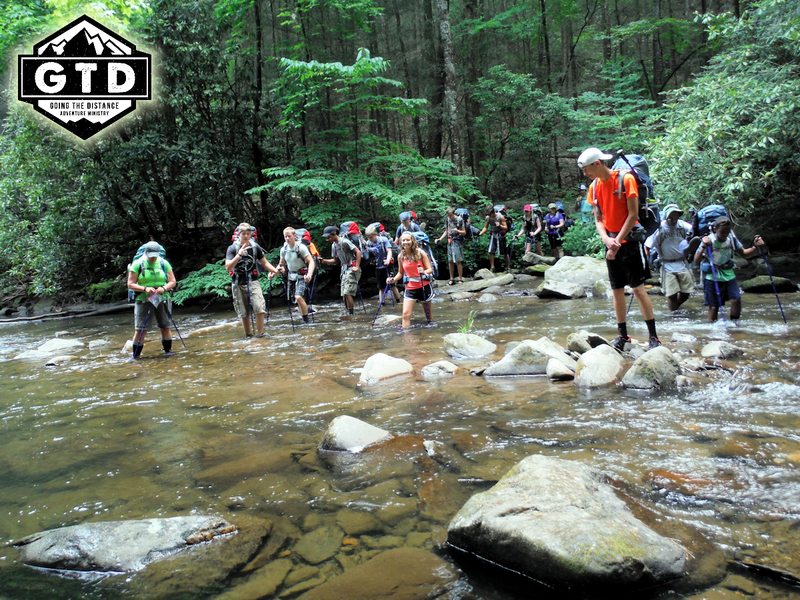 OVER 700 LANDRY BACKPACKING PICS UPLOADED! 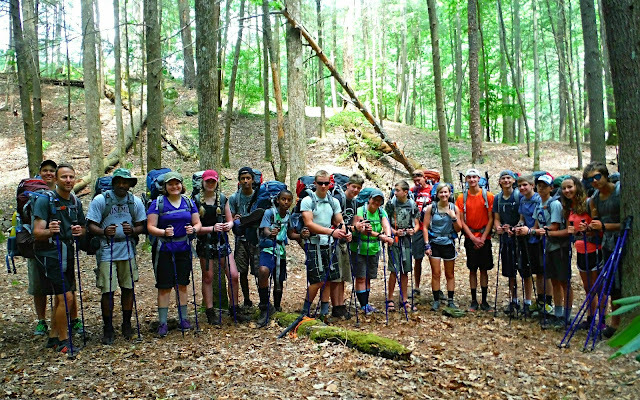 Relive the 17 mile & 42 river crossing backpacking adventure on Jacks River Trail with Landry Academy! See why this is indeed a bucket list trip! Carson and I are about to board our cheap flight back up to TN. 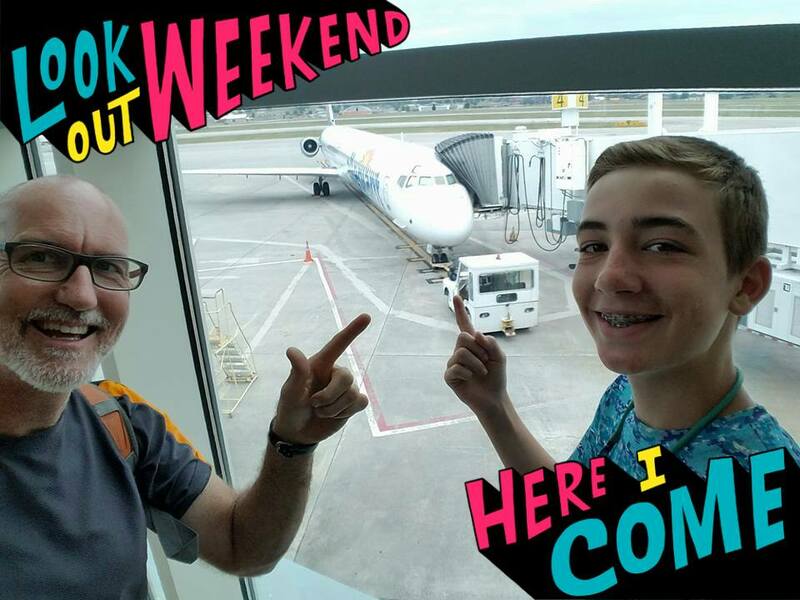 Our annual adventure trip with the middle school youth group of Calvary Chapel St Pete starts tomorrow!! When Backpacking Turns Into CLIFF JUMPING! As if backpacking in the wilderness wasn't enough! 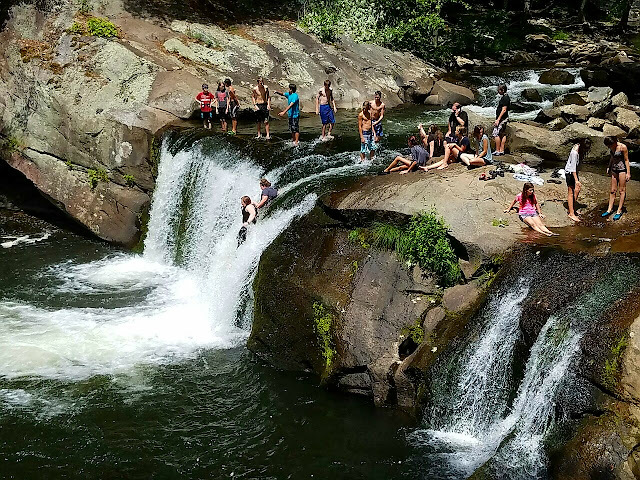 9 miles into our 17-mile 4-day backpacking trek on Jacks River Trail with the students of Landry Academy brought us to Jacks River Falls - a God crafted all natural "water park" complete with a 3 level waterfall including cliff jumps and natural slides. We couldn't get enough of God's amazing playground on this day! Thank You FREDRICK JAMES ACCOUNTING! 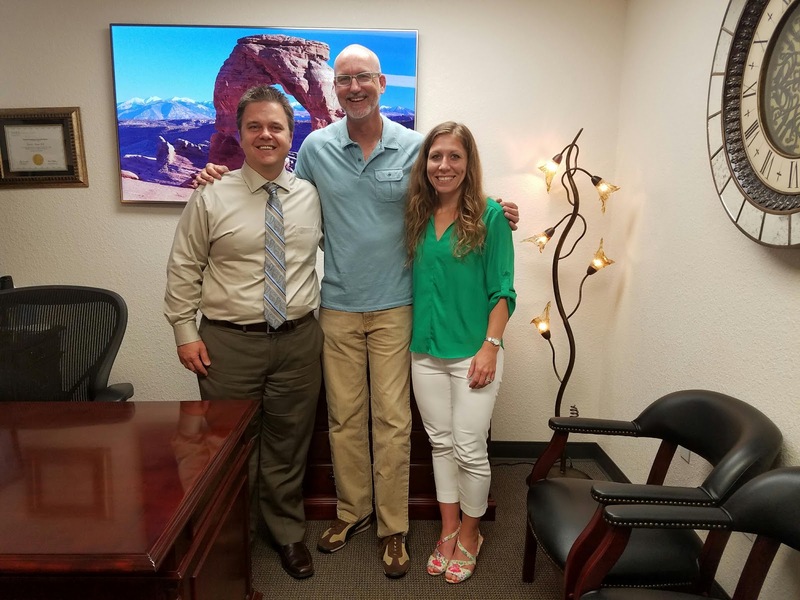 We can't thank Fredrick James Accounting enough for volunteering their energy and donating their time to prepare our annual 990 business tax report. They. Do. It. Every. Year. I can't express in words the appreciation we have for the excellent job and quality work they donate to us each and every year! The amount of time, energy, money, and most importantly - sanity that they save us is enormous!! We are so blessed to have their partnership and support!!! Thank you so much Fred, Crystal, Wilda, Joe, Steve and the entire FJA team for going above and beyond to serve us so that we can do what we do! No ministry can function without many parts playing vital roles. 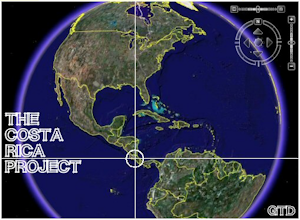 FJA plays a vital role that enables us to do ministry. Thank. You. So. Much! We love you guys! LOOKS LIKE ANOTHER... "RIVER CROSSING!" I would wish this hike upon everyone! We conquered 42 gorgeous river crossings in a span of 17 miles of backpacking on Jacks River Trail over a 4 day period with a bunch of outstanding students (and some of their family) from Landry Academy including the magnificent couple - Tom & Jen Henriksen. It was AMAZING!!!! 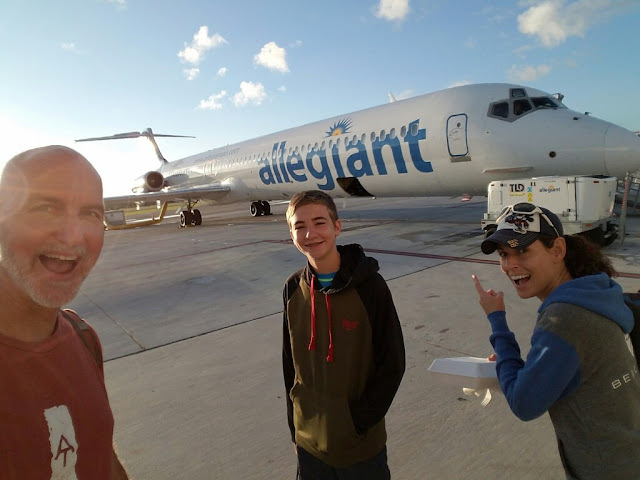 Nearly 3000 pictures from our Adventure Trip with the deaf, hard of hearing, and ASL high school students of the Family Center on Deafness (FCD) & Pinellas Park High School (PPHS) have been uploaded to GTD's online photo album. Click here to see all the exciting moments!! 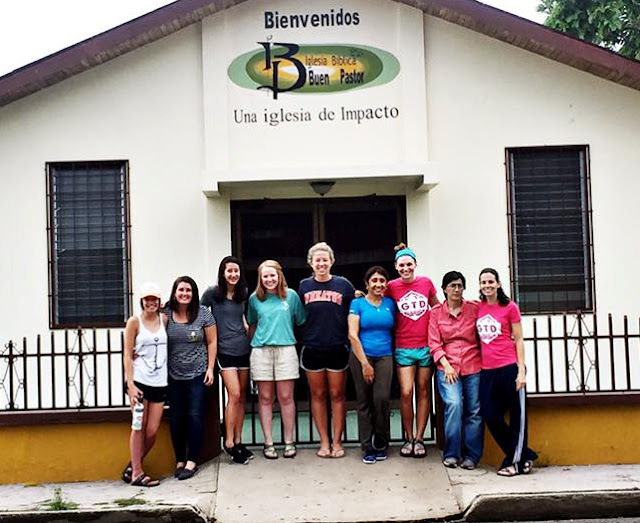 Our Costa Rica Mission Team arrived safe and sound today to our host church in La Fortuna de Bagaces. They are excited and motivated for the work God has for them over the next week. 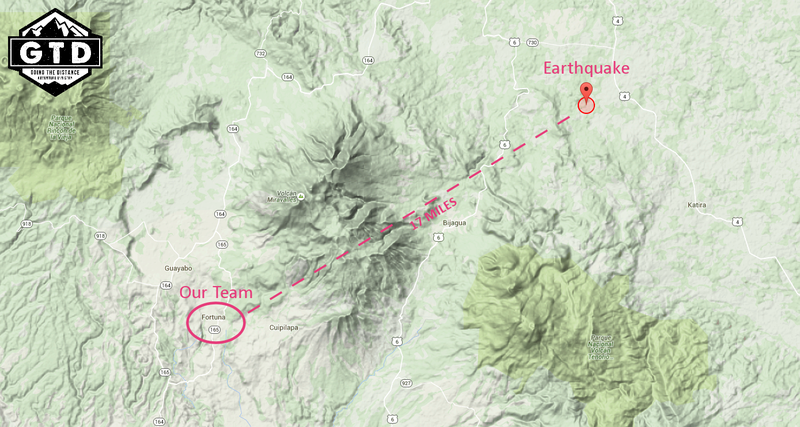 Shortly after 10pm EST there was a magnitude 5.2 earthquake about 20 miles from the church where our team is staying. They felt the quake, but everyone is fine and is in good spirits. They are continuing to feel tremors as of 10:35pm EST. We will update our blog and Facebook page if there are any changes or developments. Keep lifting our team up in your prayers. Pura vida! Homebound With My Right Hand Man! 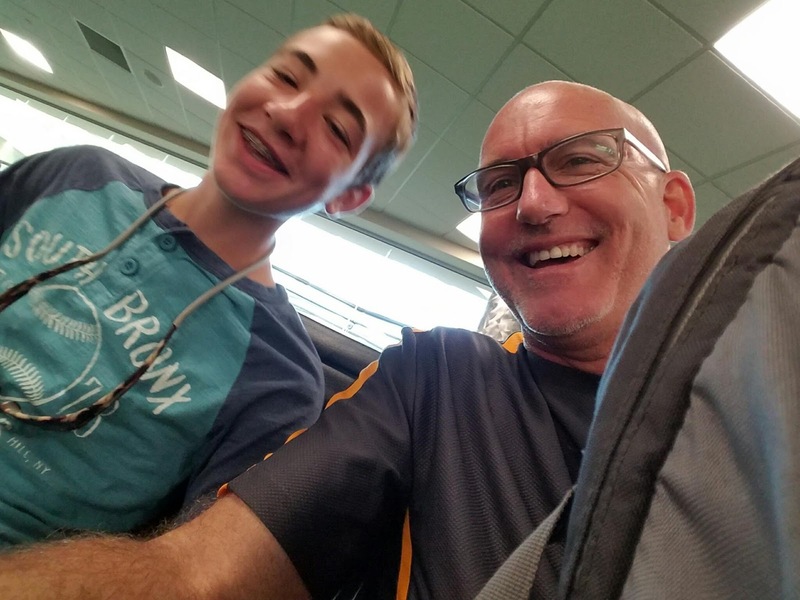 After 14 straight days of purposeful hard work (usually lasting 14-18 hrs/day) Carson and I are heading home exhausted, but filled up at the same time. We will be back home for 1 week before our next event. Garrett will be meeting back up with us in a few weeks. So I did the math and actually found that it is cheaper to store our truck & trailer and get a cheap round trip flight on Allegiant Airlines (with no luggage) and fly back home. SCORE!!! Now I can come home and take care of the office work, spend quality with family, and be well prepared for our fall events. And Carson can do some fishing. It's pretty nerdy, but I'm thrilled that I won't have huge piles waiting for me at the end of this summer!! BEST SUMMER EVER ALREADY! !